Of the many interactions we had at the American College of Sports Medicine’s 2015 meeting, none were as enlightening as our conversation with Bob Oppliger. Bob is the chair of ACSM’s Health Science Policy Committee (read: chief of lobbying), and we found him standing in front of an exhibit titled “ACSM Advocacy.” After a brief conversation on what legislation the ACSM is currently lobbying for, I turned the discussion toward fitness trainer licensure. 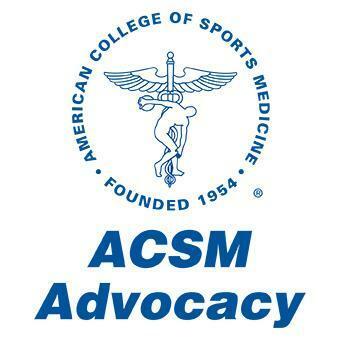 It’s no secret that ACSM supports legislation that would license personal trainers. As a member of US Registry of Exercise Professionals, the ACSM supports state-level legislation that would make it illegal to operate as a fitness trainer with only CrossFit credentials. The narrative provided as justification for this type of legislation is simple: trainers that don’t have nationally accredited certifications are dangerous to the public, therefore we should regulate the industry. For example, the The Council of the District of Columbia’s Committee on Health and Human Services cited “anecdotal reports of injuries” as the motive for its licensure bill passed last year. This narrative ignores that CrossFit’s Level One Certificate Course is internationally-accredited by ANSI, ignores that all published studies on CrossFit’s injury rate found it to be safer than running, and ignores the only existing study on CrossFit trainer credentials and associated injury rates, which found no difference in risk between trainers with multiple credentials and those who had only the CrossFit L1. This begs the question: Why would these organizations push for anti-competitive legislation based on completely false claims of injury associated with CrossFit trainers? Oppliger was happy to provide us with the ACSM’s real motive, one that is entirely different than that provided to the public. See for yourself in this video, or read the transcript found below. BERGER: I’ve read something about the regulation of personal trainers for states. Does that have anything to do with that process? OPPLIGER: Right, so it’d be the same process that nursing goes through, for the physicians. Every state determines. Where ACSM, well where there would be a couple levels where ACSM would be *unintelligible* what constitutes certification? OPPLIGER: And so in some areas that’s better defined than in other areas and then, so with the concussion legislation for example, we developed some model legislation that, model legislation says it should have something about this and something about this and something about that. Well the same thing would apply in a licensure situation. BERGER: You would provide some general outlines for what the legislation would look like, and then the state would then act on that in whatever way they wanted to or not. OPPLIGER: So we would find out who the key contacts are in Alabama and then put you guys on the task. OPPLIGER: So there would probably be some level of input right there for people within the state. BERGER: OK. And are there any areas, and states, any bills that are currently active, that the ACSM supports, that are working toward licensure? OPPLIGER: Not that I’m aware of. BERGER: Because I know, isn’t the ACSM working, do you have a relationship with USREPS, the Registry of Exercise Professionals? OPPLIGER: I can’t spe.. don’t know. BERGER: OK, because I think they’re working toward licensure. BERGER: I wondered if you knew anything about their progress. OPPLIGER: I know the name. I don’t know what you do. OPPLIGER: Well you’re – well, go ahead. OPPLIGER: I can’t speak to any of that per se. OPPLIGER: But that whatever, third of our members are involved with outreach, I mean outreach, and so at some point I can see *unintelligible* be involved. BERGER: Who’s allowed to get that business. Right. BERGER: So it’s better to be on the bus rather than off of it. BERGER: Get the state to make sure you’re on the bus so that you don’t lose out on the insurance money. OPPLIGER: And the second part of that’s just maybe not as obvious to some I think, but to me it is, is that you’re also, when you’re licensed, you can charge more money. BERGER: You can charge more. Yeah. OPPLIGER: So there some value to it. RUSS GREENE: And there’s a lower supply of trainers too, right? BERGER: It’s a much smaller group of trainers that are credentialed that – you look more professional. BERGER: It’s not just anybody off the street. OPPLIGER: It’s like any other industry. So the nursing industry went through all this. Physicians went through this 100 years ago, nurses went through it 50 years ago. Physical therapists went through it at some point. So that’s kind of the natural progression of professions. OPPLIGER: So, at some point people in the fitness industry are gonna’ need to come up with some way of saying “We know more about this than Joe Blow.” And the way you do that is through a credential that has weight. Gravitas. BERGER: And the way to give it that recognition is through licensure. BERGER: Oh no. I hope not. BERGER: What can I do to get some more information on this if you have, do you have an email list? OPPLIGER: Well, I gave you this. BERGER: OK, I’ll hold onto this. OPPLIGER: And then we send out periodicals on this. OPPLIGER: So if you have yours. So the guy on here, this guy is our Vice President for Health Policy. OPPLIGER: So if you have questions, if you want information, he’s available as a resource. OPPLIGER: So *unintelligible*. And if you have questions get ahold of us and we may or may not be able to help you. BERGER: Thanks Bob, I appreciate your time. Take care. Why not mention how long the ACSM and NSCA have been working on licensure? There have been multiple uprisings since I started in this profession in 2001. None have come to fruition. There are many pitfalls to the topic for me, and if you could step out of your crossfit paranoia you might realize there are other issues at hand that really have nothing to do with CF. Blaney, last year the first personal trainer licensing legislation in history was passed in DC. That makes this situation clearly different from past failures. That legislation was lobbied for by USREPs, which has proposed sample legislation that would specifically exclude CrossFit trainers from legally practicing our profession. Saying this has nothing to do with CrossFit is either wishful thinking or ignorance of fact. Can you reference the document that says “crossfit trainers are excluded” and not ” those not accredited by xxxxx” because there are thousands of certifications out there many lacking any credibility and it takes years to get any government action on anything. I am not all that much for licensure I has its limitations much like my ATC license. Again, the DC legislation has passed. This is not a hypothetical situation. USREPs has always lobbied for only recognizing NCCA-accredited certifications. You can see this in the sample legislation they promote, as well as the previous bills they have lobbied for. By definition, this excludes CrossFit trainers, who hold a credential accredited through ANSI. The most recent draft of the DC regulation thankfully does not include this language, but to suggest that this is a non-issue for CrossFit trainers is still wishful thinking. It also limits hundreds of other certifications not just crossfit. So my point is still valid. Yes. We have never contradicted or denied that point. In fact I’ve made it previously in another video. I’m going to throw something out there that could, or may not have anything to due with this situation at hand. Let me start out with I have a lvl 1 and support CrossFit. I think it is a great business model that encourages active growth and I think as a fitness methodology it is awesome when taught by coaches who have both a)common sense and b)the requisite training. That said I may be biased…but let me raise this question. The US Military, the Army in particular, instructs Soldiers using the Physical Readiness Training program. Most leaders of the military who lead this are NCO’s who in most cases lack any sort of credential to be leading this and I have corrected countless people as I am in fact to a Soldier in their teaching methods and points of performance. That said USREPs seeks to lobby against CrossFit because its trainers are in their eyes, let me state again, their eyes not qualified and could “hurt” people. So using this train of thought they surly would have to go after the US Military right? After all they are setting the dicta and presetting the precedent to discredit the governments methods of keeping Soldiers fit. What about everyone who gives a tip to a friend in their points of performance in an effort to help them? Are they to now committing what USREPs is making out to be such a aggressive breach of the law that they risk jail time?